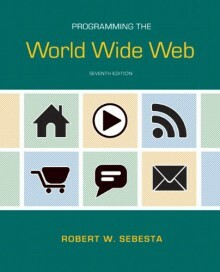 For undergraduate students who have completed a course in object-oriented programming Programming the World Wide Web provides a comprehensive introduction to the tools and skills required for both client- and server-side programming, teaching students how to develop platform-independent sites using the most current Web development technology. Essential programming exercises are presented using a manageable progression: students begin with a foundational XHTML Web site and employ new languages and technologies to add features as they are discussed in the course. Readers with previous experience programming with an object-oriented language are guided through concepts relating to client-side and server-side programming.